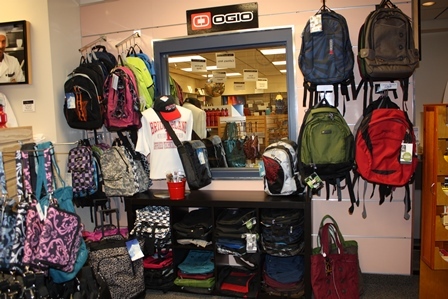 Bridgerland Technical College has a full-service campus bookstore for both the Logan Campus - Main and Brigham City Branch Campus. The Logan Campus - Main bookstore is located at 1301 N 600 W, Logan, UT 84321, at the north end of the building in the main hallway. Textbooks, school and office supplies, class materials, candy and snacks, greeting cards, gift selections, backpacks, clothing and more are all available at the bookstore. Used textbooks can be sold back to the bookstore at the discretion of the bookstore manager. The value is determined by the demand for that specific book. The Brigham City Branch Campus bookstore carries textbooks, school/office supplies, and class materials. It is located near the main entrance to the building. Textbooks are now available for rental online. See the link below. For more information, please call (435) 750-3266.